Teachers love to look at one another’s rosters and relate experiences we’ve had with particular children or families. We love to reminisce on the sweethearts we’ve worked with (“Oooh, you’re going to love James, I had him last year and he’s such a hard worker”) and even their siblings (“You’ve got Shaina- I had her sister Kayla one year- they are the nicest family!”). It’s always rewarding to follow up with our former students, and sometimes it’s helpful to pass along information about a child. But there comes a point when we create prejudice about our children. Our “helpful warnings” turn out more like gossip and slander, and professional confidentiality goes out the window. I can name several children that I was warned about who never caused problems for me, and several others that former teachers raved over but I found them extremely difficult to get along with. There are many reasons why this happens: Children go through phases as they develop, their home lives change, they show different sides of themselves amongst different peer groups, and they bond more easily with some adults than others. It’s just not fair to categorize students before the school year even begins. This year I want to give my current and former kids will a fresh start. I’m going to keep to myself any comments about kids I’ve had, and I’m not going to let other teachers “warn” me about students I’m getting this year. In fact, I’m not even viewing the kids’ cumulative folders until after I’ve met them and given them a chance to prove that they are more than their standardized test scores and office referrals. I’m going to have the perfect class for me this year. I’m sure of it, because I’ve been praying for my students all summer, even though I don’t know who they are yet. I’ve asked the Lord to place the children in my class who need to see His light shine the most. That can be a scary prayer- but He promises never to burden us beyond what we can bear or push us beyond our limit (I Corinthians 10:13). I can’t wait to find out the God’s purpose for placing each child in my class: maybe one will have parents who are divorcing and needs extra love; or perhaps one will need gifted education and the Lord will choose me to help identify her. One might even grow up to be a pastor and need someone to help instill in him a solid work ethic! It’s always scary to start a new school year because you just don’t know what you are getting. A nice bunch of children can make for an awesome year; one or two extreme behavior problems can be enough to run you down and ruin your attitude from now until June. Remember: God has placed each child in your class for a reason, and He will give you all the strength you need to fulfill His purpose for your life and your students’ lives. READ: Psalm 139:1-18. As you read, meditate on how God has already planned out your life and your students’ lives before any of you were even born (”All the days ordained for me w ere written in your book before one of them came to be”). Let the Lord show you through His word how He knows your ways and is with you through every event He has in store for you. 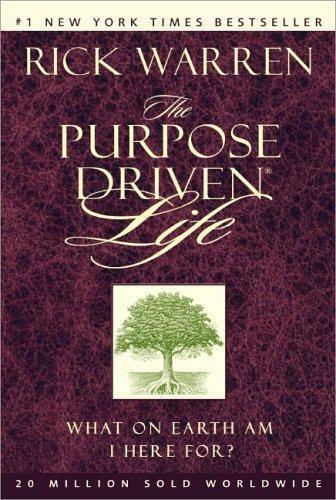 If you haven’t yet read Rick Warren’s The Purpose Driven Life, I urge you to pick up a copy- it will change your life!! 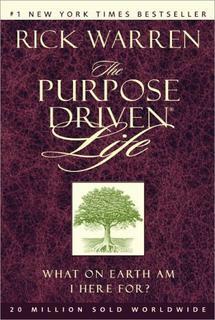 It’s designed to be read as a devotional, about 15 minutes a day for 40 days, and it’s very easy to read and relate to. PRAY: Lord, even though I don’t know who my students will be this year, You do, and I am so grateful to be a part of Your perfect plan. I pray that you keep my students and their families safe as the summer comes to a close and bring them to me with an open heart, ready to learn. Please help me to get to know each student and family for who they are, and to see them as You see them: they are Your creation, your beloved children, and I want to love them like You do even when they don’t seem very lovable. Help me to stand strong when I want to speak negatively about my students and remember how precious they are to You. Please show me Your divine purpose for placing each child in my class this year, and help me to walk with You, relying on You for strength as I work to accomplish Your perfect will. Thank you for the fantastic year ahead, Lord! Amen! CHALLENGE: When you get nervous about meeting your new students, remember that God has a reason for placing each one in your class. When people ask you how you like your new class, or you are tempted to complain about them, ask God to give you a positive attitude and words to share with others. Continually ask Him to show you His purpose in relation to each child and to help you stay focused on seeing things as part of His divine plan. Just what I needed! What a great way to "refresh" ourselves before the year begins. You are wise beyond your years! I am continually amazed that the "troubled child" can be "no trouble at all" in another teacher's classroom! A great lesson for us all. Amen! The prayer you included in this devotion is exactly the right one for all of us! Than you! 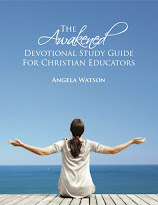 Thank you so much for starting these devotions. It's just what I needed to make my day focused more on Him. I really appreciate all that you do. You SERIOUSLY should write a book. You're going to be a great teacher. You've got knowledge, enthusiasm, desire, motivation. What you don't have is experience. And experience makes the difference between a potentially great teacher and a comfortably great teacher. No esoteric teaching methods. No field studies or carefully calibrated experiments. Just down-to-earth, helpful hints and suggestions to help you survive your first (few) years as a teacher. We warn you about common pitfalls, give suggestions for getting along with fellow teachers, toss out a few classroom management techniques, offer advice on dealing with parents, and share secrets on organizing some of that "stuff" you've suddenly acquired. If what you want is dull, dry treatise on pedagogy, or if you need a heavy meal of ibids and op.cits laced with quotes from learned professors of education, this book's not for you. It's quick and easy reading, a bit light-hearted, but as serious as an air strike about helping you bet the teacher you know you were meant to be. 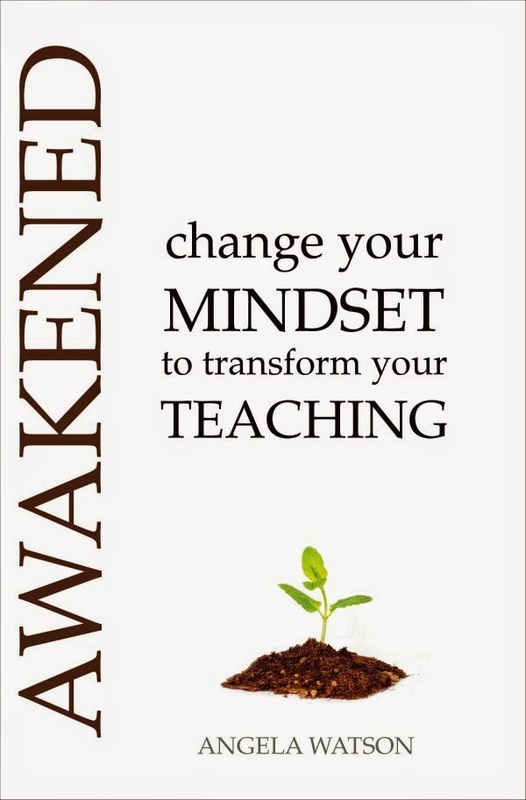 teachers share for success in the classroom, written with humor by experienced educators. As a new teacher, you won’t be doing battle with a supreme Evil like Sauron or traveling into the Cracks of Doom like Frodo Baggins and Samwise Gamgee, but like those two Hobbits, you are ‘expected to find a way...’ (Book IV, Chpt. 3) A way to make learning fun, but keep control of the classroom; a way to reach thirty different children with thirty different learning styles, a way to teach whole-heartedly while fielding a barrage of forms, procedures, expectations and instructions. "The Handy-Dandy Desktop Mentor." 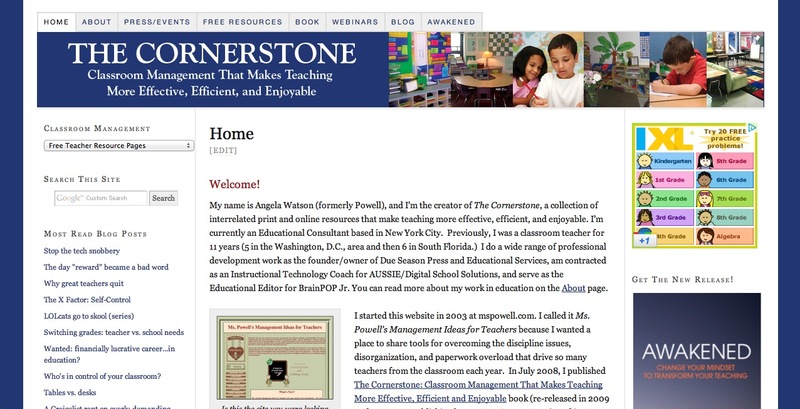 is available at my site for new Teachers. Thank you for your words of inspiration. It reaffirms to me that I am in the right place to do God's work as I welcome each of my students with special needs for the best school year yet.